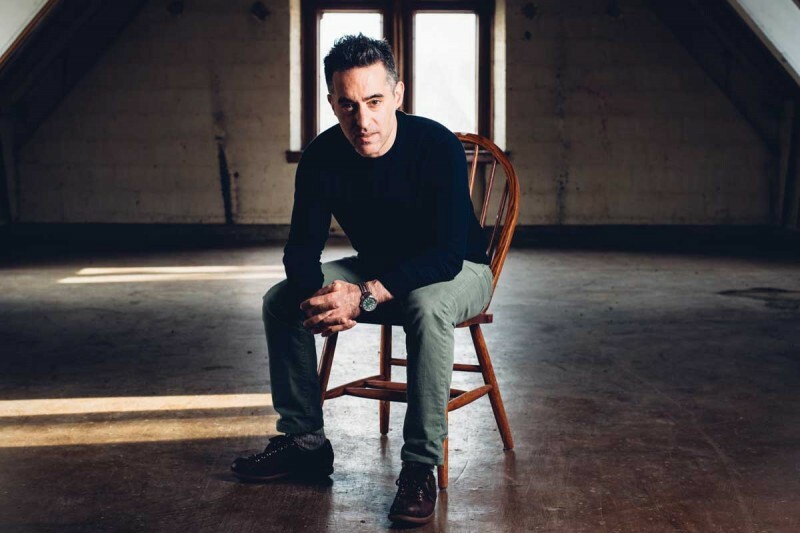 Last fall, Nathan Englander ’91, LittD ’17, finally published a book that was trapped inside him for the past 20 years. Dinner at the Center of the Earth, the acclaimed author’s second novel, combines elements of a spy thriller and a romance. Set in Israel and Gaza with stops in Europe and the United States, the story is an exploration of Israel and Palestine and the lost peace between them. Literature, he notes, can take you to places you can’t physically go. He wanted to create a story that would function as a sort of science experiment, giving people space to consider and reconsider their opinions about Middle East peace. Englander recalls someone asking him once whether there was a theme to his books. “I was like: Are Jews a theme?” he says, only half kidding. He says he’s obsessed with ethical quandaries, as well as the sacred and profane. Those obsessions are obvious in Englander’s earlier books — the novel The Ministry of Special Cases and two collections of short stories, For the Relief of Unbearable Urges and What We Talk About When We Talk About Anne Frank, a finalist for the Pulitzer Prize. With Dinner at the Center of the Earth, he aimed for something different: a character-driven thriller. This is no straightforward spy novel, though: There are jumps in tone, location and time that keep readers from getting too comfortable. The structure was a challenge, but the other reason Englander didn’t write the book sooner was that it required a certain emotional distance. Englander first visited Israel in 1989–90, during his junior year at Binghamton University. He returned for summers and then, after earning an MFA from the Iowa Writers’ Workshop, he moved to Jerusalem. He lived there from 1996 to 2001. Of course, that’s not what happened. The second intifada began in September 2000. Decades of talks have yet to produce a lasting peace. Now, Englander notes, there are adults who don’t even remember when peace seemed possible. Englander, who spent months on the road promoting the novel, says he had never been more scared for the launch of a book. “This is so loaded and complex and emotional for people,” he says. Now he’s back at home in Brooklyn, deep into his next novel and working on a play adapted from What We Talk About When We Talk About Anne Frank, commissioned by the Lincoln Center for the Performing Arts. Last year the University awarded Englander an honorary doctorate. “That was the only way I was going to end up on the jumbotron in the gym,” he jokes. Englander says he couldn’t tell whether his old digs at the corner of Leroy and Chestnut were more dilapidated now or when he was living in Binghamton, but he was happy to find campus thriving. He says he feels his literary life is a gift, one that rests in part on public higher education.